I don't know weather this has been posted but these scripts work fine on 3ds max 2014. I have Windows 7 64bit. [list][*]What version of 3ds Max do you use? [*]What function did you try? Hi, so I am using 3ds Max 2017 on Windows 10 Home Edition 64-Bit. I have downloaded the latest version of the MDT (v2.762) and installed it following the directions in the original post (copy and paste the "Plugins" and "scripts" folders to the main 3ds Max folder, confirming overwrites). However, when I start Max as Administrator, there is no BF Tools option in the menu. I understand this program was developed for Max versions 8-13, but could it be possible to update it to support more recent versions of Max? If so, that would be awesome. If anyone else wants to keep working on it, the files are all there, there's nothing "hidden" or protected. License for the parts I modified is WTFPL, though the vast majority of it is still based on Rexman's and DICE's original work from many years ago, so give credit where credit is due. EDIT: On an unrelated note, I realized that I am now more than twice the age than when I started playing (and modding) BF42 . but on a serious note..
i get script errors on export.. literally just installed this evening..
Any pointers to get this running right? ran max as admin and it seems to have worked... although i also did a lot or file replacing and swapping.. just sayin. not exactly sure what happened. Ok... 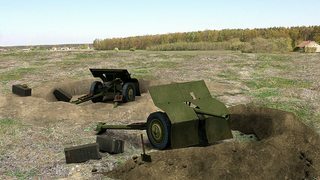 So, here is my story about 3DS Max 2017 Plugin for BF1942. Recently I wanted to change my color of UI in 3DS Max to darker one. 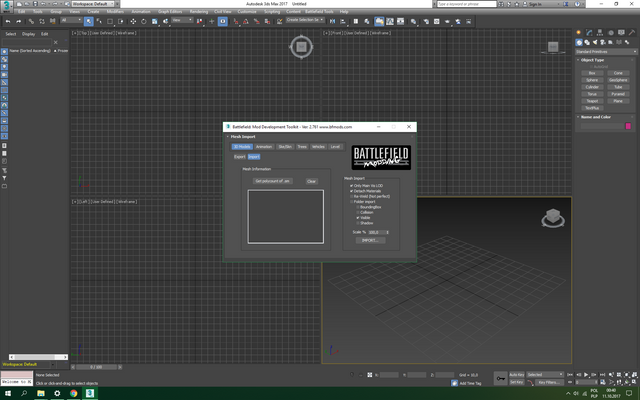 After that my fully working Plugin dissapered from Menu in Max. Where is the trick? I have copied folders Plugins and Scripts again to Max directory, restart, nothing changes. Maybe it's stupid, but I don't know why some guys wrote that it doesn't work on 2017 version. Hi TOM. I am still at your side bro. If do you work on a project, i want to create a news about it! Battlefield 1942 is my only onefirst class Shooter!